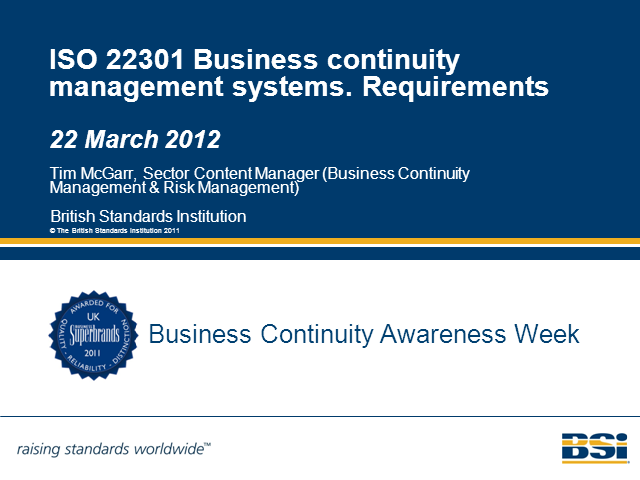 Over the last 5 years BS 25999 has become the most widely used standard in Business Continuity around the globe. In 2012 two equivalent International Standards on Business Continuity Management will be published. These ISO standards (22301/22313) are envisaged to become the single standard used for Business Continuity throughout the world and have already generated significant positive interest.